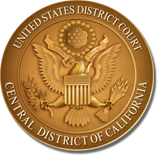 The United States District Court, Central District of California, is currently accepting applications from qualified individuals interested in serving as Ninth Circuit Judicial Conference Lawyer Representatives. The selected Lawyer Representatives will be representative of the entire district and reflect the diversity of lawyers practicing before the Court. Interested persons should complete the application, which can be found on the Court’s website under the Lawyer Representatives section located in the “Attorneys” tab of the Court’s homepage. Additional information about serving as a Lawyer Representative can be found on the 9th Circuit’s website at http://www.ce9.uscourts.gov/lawyer_reps/. Please send completed applications no later than July 3, 2017, to LawyerReps_CACD@cacd.uscourts.gov.